The controversy around Haas’ new title sponsor continues. Already, there is scepticism about the legitimacy of Rich Energy, a British energy drink headed by the long-bearded William Storey. Now, it emerges that Rich is heading to court next month. In the days just prior to the start of the 2019 season, Storey’s company will be in court on 12 and 13 March 2019. According to Intellectual Property Court documentation, the case was filed by ATB Sales. The British company owns Whyte Bikes, whose antler-like logo is almost identical to Rich Energy’s. 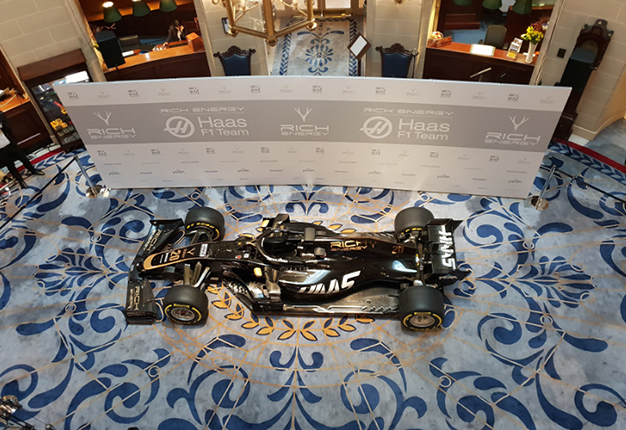 At the launch of Haas’ 2019 livery, Storey admitted he wanted the black and gold livery colours because they reminded him of the John Player Special car raced by Ayrton Senna. “We have evolved it, because otherwise it would have been a total copy of the 80s livery,” team boss Gunther Steiner said. “As long as the car is beautiful and the name of Gene (Haas)’s company is there, the boss is happy,” he added.